New photos are with a yellow cell background color. 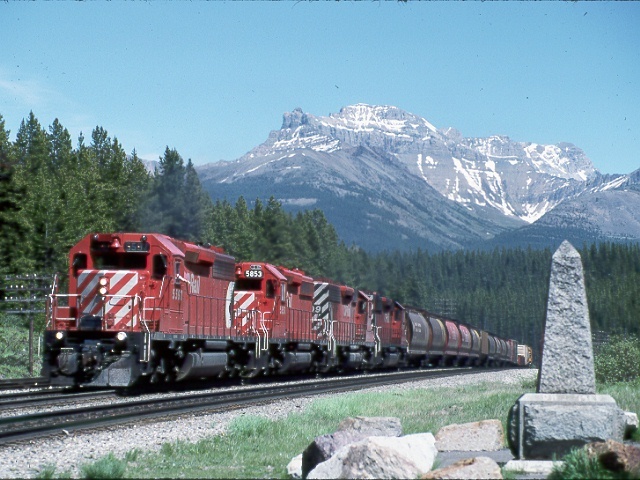 Here is the 6 unit helper set returning to Rogers for the next uphill train. June 25, 1988. 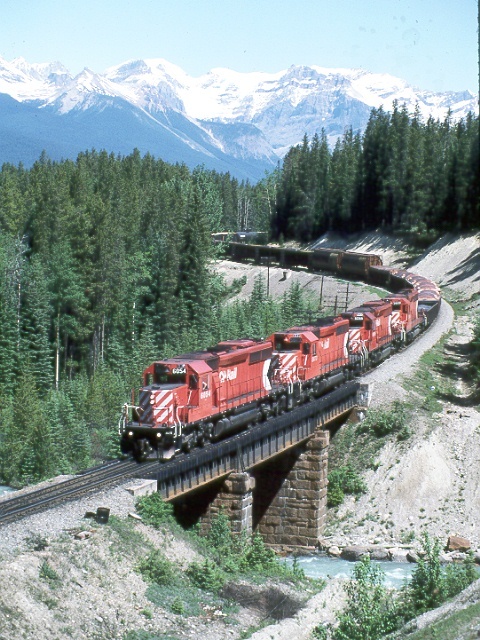 The "Canadian" at Hector on a beautiful June 19, 1988 day - nice after several days of rain and fog! 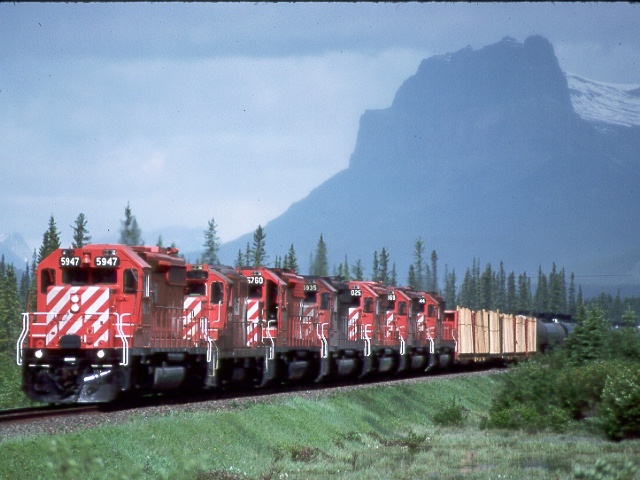 This is a scene taken from the Trans-Canada highway at Ottertail on June 7, 1987. 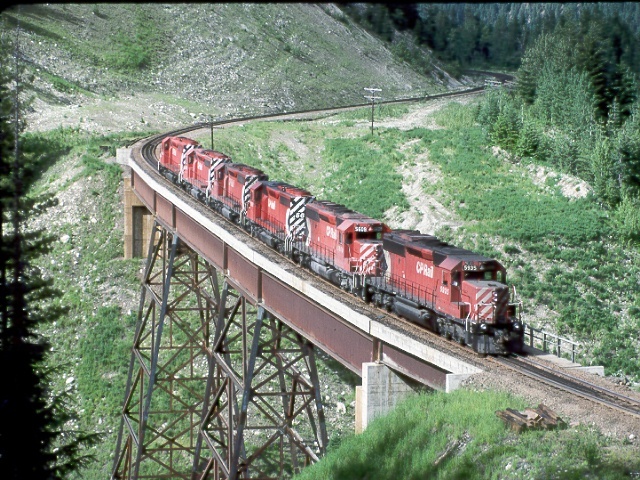 This train is just crossing the BC- Alberta border on a sunny June 7, 1987. 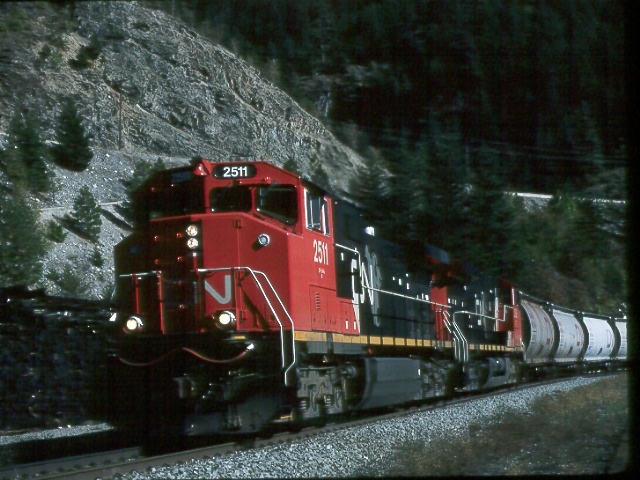 On June 18, 1988 this eastbound has just left the mountainous country behind it. This 2 unit set of Budd cars is westbound at Franz, ON just west of the ACR diamond. Taken Aug. 27, 1983. 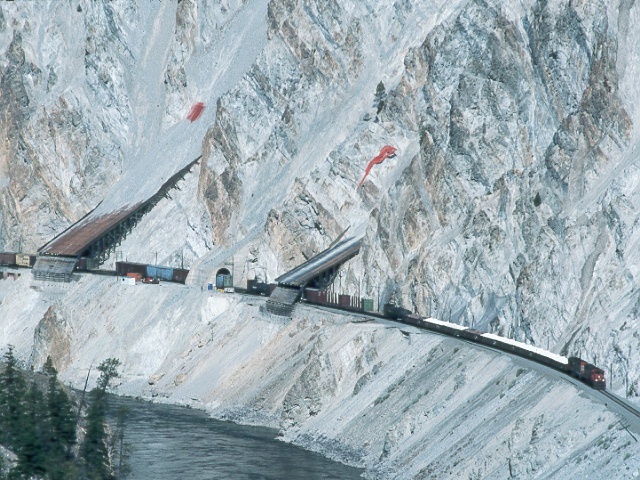 This is near the Spiral Tunnels - a "shoot from the car" scene on June 19, 1988. 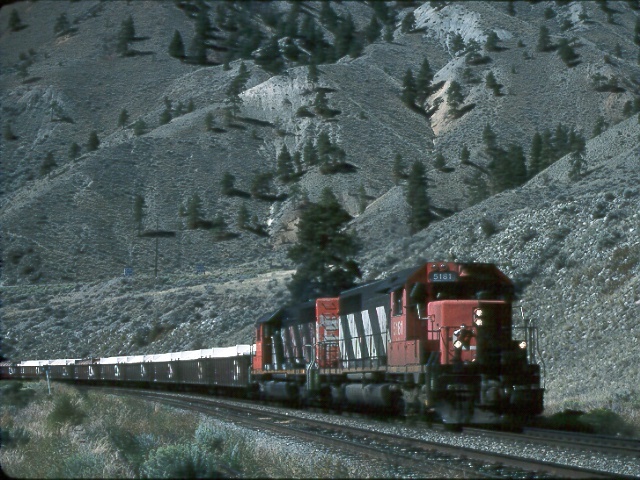 Here's a CNR train passing through the rock sheds at Lytton BC Sept. 3, 1995. 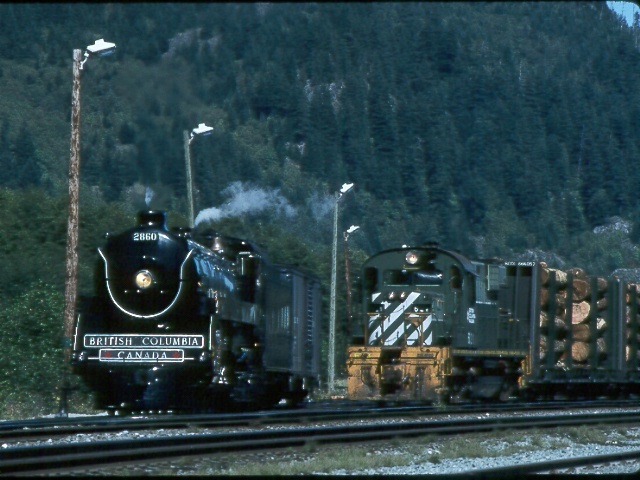 Sept 1, 1995 finds this northbound train meeting the Royal Hudson at Squamish, BC. 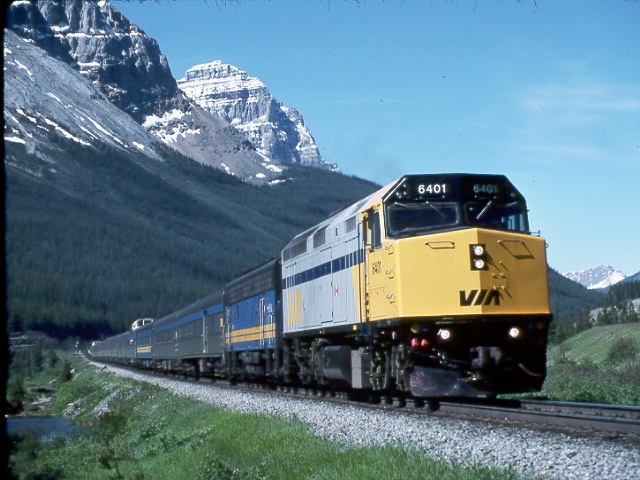 An eastbound train is passing Martel BC. 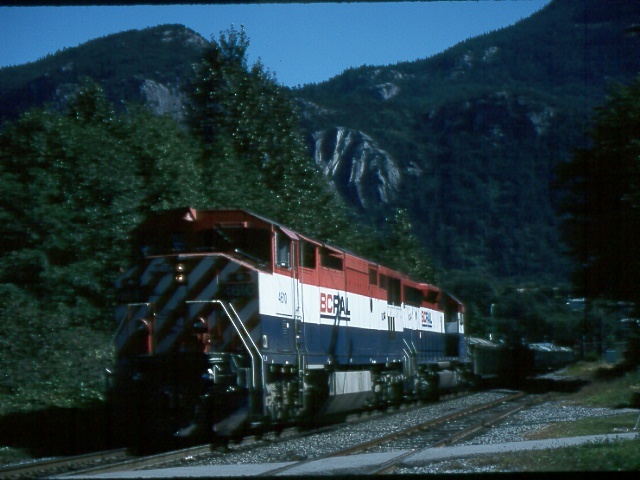 The Royal Hudson is turning on the wye in Squamish yard while an Alco RS18 yard engine switches logs. 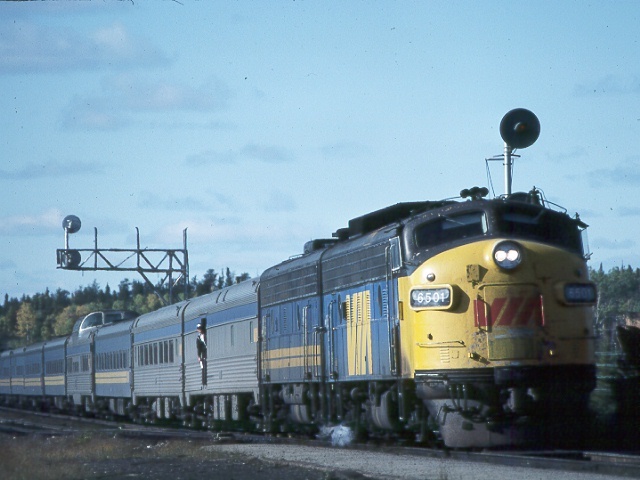 The eastbound Super Continental is in North Bay, ON on July 27, 1974. 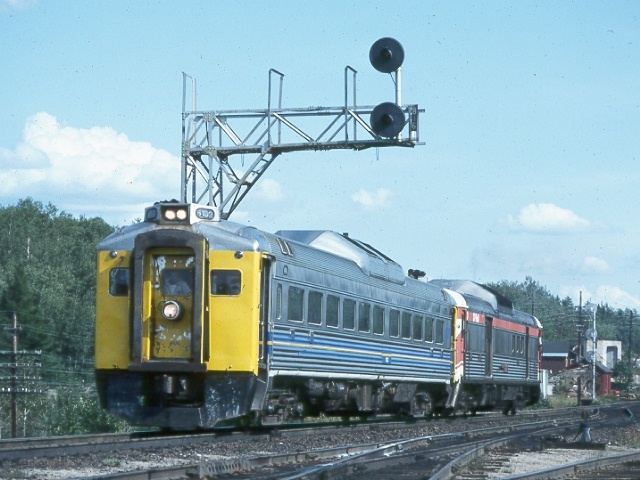 And on the way back to Sault Ste Marie that afternoon I caught up to CPR Train No. 911 a little west of Sudbury. 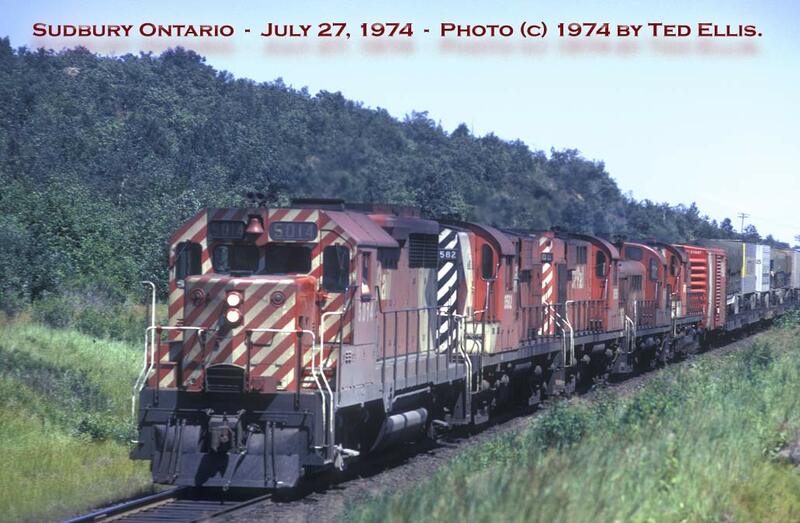 July 27, 1974. 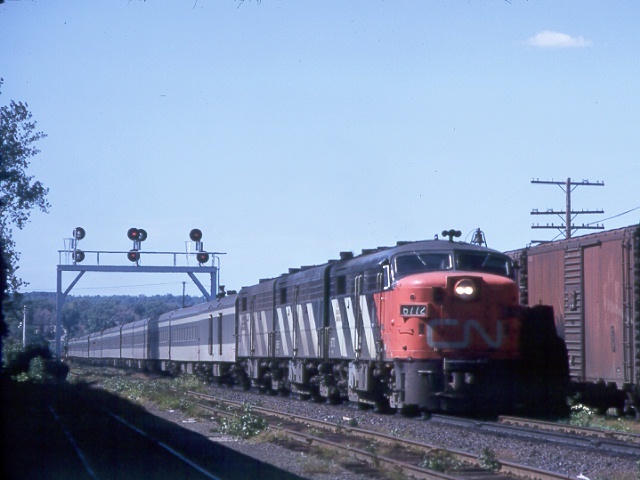 Here is the eastbound Canadian slowing for its station stop at Franz, ON Oct 8, 1983. 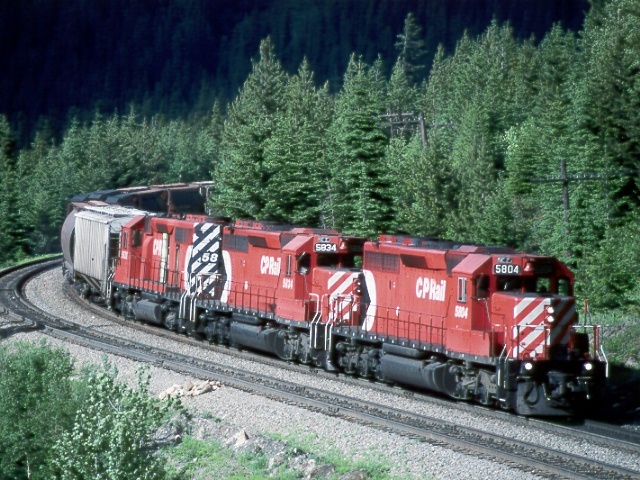 New CNR units on a unit train are north (east) from Vancouver near the Cisco bridges. This web page and all photos on it copyright ©1999-2006 by Ted Ellis. All rights reserved.